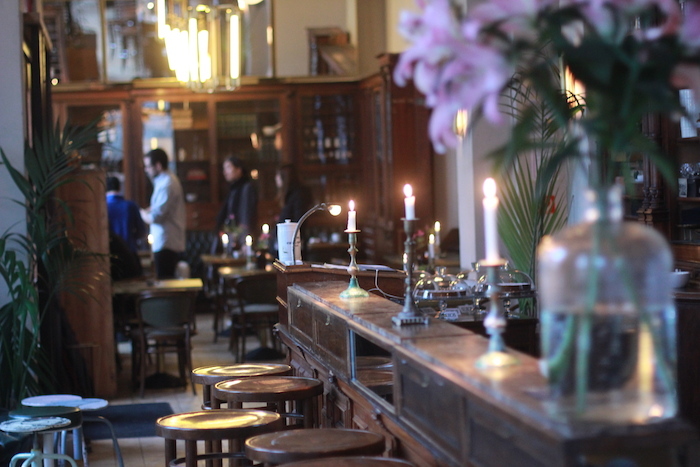 Earlier this year we published a list of our BEST NON SMOKING BERLIN BARS. And it was one of the most read posts ever. Well, I guess you guys do appreciate being able to breath freely while drinking your cocktails and craft beers! Therefore we think it is only fitting to publish another list with MORE BEST NON SMOKING BERLIN BARS. Check out the interactive map in the bottom! 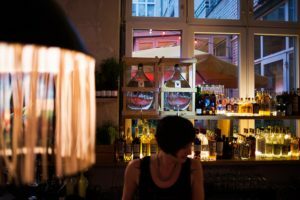 We pledge to keep our quest for the best non smoking berlin bars and will publish more lists as we discover new great smoke free bars in the city. Enjoy! And remember, Berlin is a city that embraces freedom of choice and smoking in bars (where it is alowed) is seen as a very normal part of life. 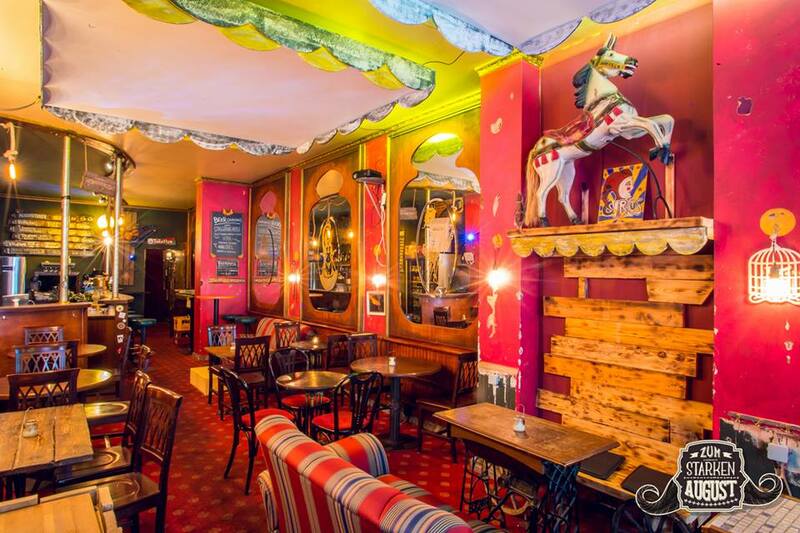 Some of the best bars in town still allow smoking inside and if you can take it (we do), it is totally worth visiting some of them. 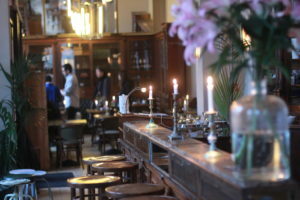 An old Pharmacy in Kreuzberg serves at the setting for this beautiful bar. Take a moment to explore the premises and details. It is mesmerizing. Ora also functions as a coffee/cake/lunch place during the day. 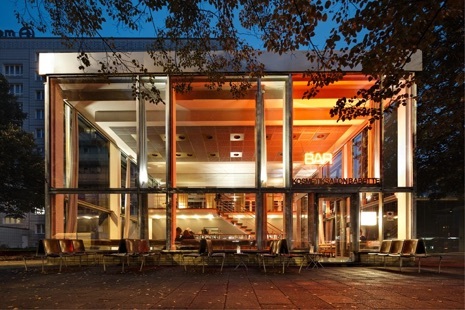 Perhaps one of Berlin’s coolest hotel bars, Michelberger not only serves great drinks but it also delivers some of the coolest music pop up events in town. GDR vibes and modernist architecture blend to deliver a truly special Berlin experience along Karl Marx Allee, perhaps Berlin’s most “soviet looking” promenade. Check their agenda, the cultural program is quite interesting. 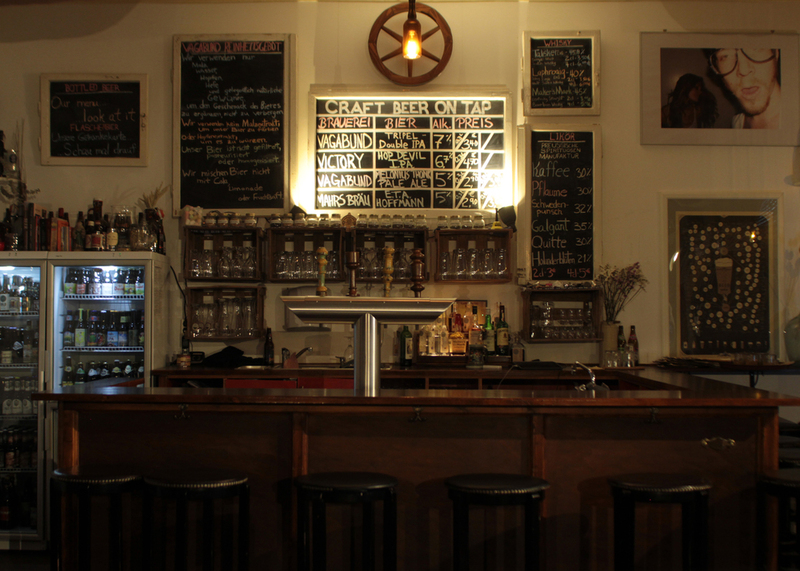 This great little establishment doubles as a great craft beer shop and a bar. Well, they don’t call themselves a bar. 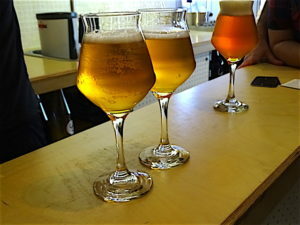 Apparently it is a “tasting room”. Solid beer selection, great casual vibes in a hipster neighborhood setting. 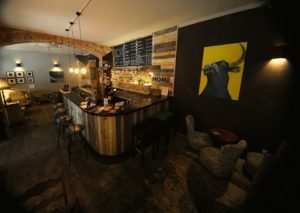 A pioneer in the craft beer scene in Berlin, Vagabund Brauerei is a cozy Wedding institution by now. Come here to get away from the hyped craft beer Berlin scene and enjoy your pint among locals. We came across this bar accidentally one night and ended up having great beer and a funky burlesque show experience. Check their website for some fun events! Super chill and friendly neighborhood bar in the heart of Friedrichshain. 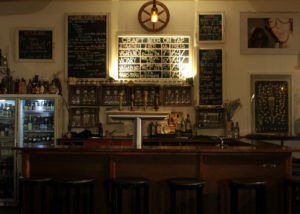 Cozy ambiance and great tap as well as bottled beer selection. Find a spot on a comfy couch and enjoy the night with friends. 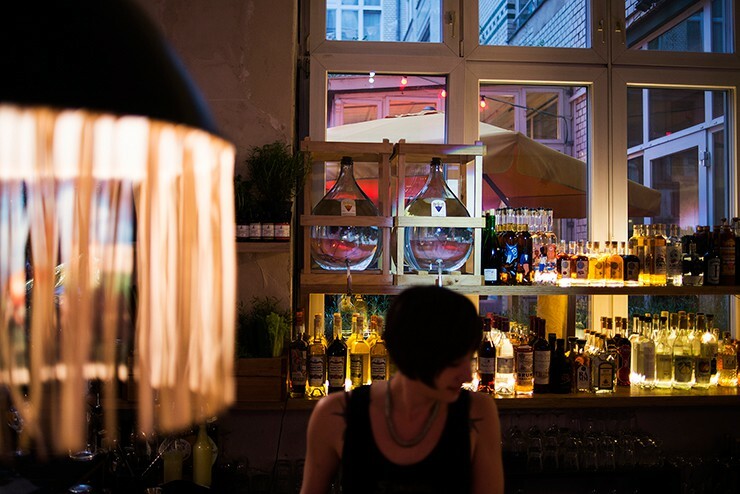 The atmosphere you expect from a true Berlin bar.